Morphogenetic Field Repatterning is the most organic form of self-healing for it is based upon the laws of transharmonic (multidimensional) physics and scalar waves, the fabric of creation. Morphogenetic comes from the word “morphogenesis” (from the Greek word “morphê ” for “shape” and genesis for creation: beginning of the shape). These form-holding fields are the organic imprints for “Life”. Scalar wave are not only the essential connection between the cosmos and matter, but every critical function within every organic life form. The expression of the scalar wave movement is created through the sequential “flashing on” (light) and “flashing off” (sound) of scalar wave points, which emanate the effect of a flashing linear series of light bulbs. Imagine a row of a synchronized series of flashing light bulbs that appears as if the light moves from one point in the row to another. Scalar waves represent static points of eternal fission-fusion that radiate from the fabric of the morphogenetic field. Thus, scalar waves are vertical points comprised of conscious energy; consciousness itself. 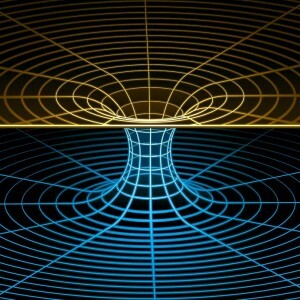 Morphogenetic Fields are composed of conscious sound and light matrices that function as cosmic blueprints upon which consciousness manifests and materializes into matter. All forms of consciousness and matter hold a morphogenetic (form-holding) imprint consisting of crystalline, electro-tonal energetic substance arranged in specific frequency patterns. This includes the “Devine Blueprints” for cosmic, galactic, solar, planetary and human life forms. Simply put, Morphogenetic Fields are Scalar Fields consisting of interwoven patterns of consciousness that express and form vertical scalar waves. Every single cell, organ, organ system in our physical body, as well as our entire physical body, is encompassed and surrounded by its’ own individual morphogenetic field encryption pattern. In order to create a change within any part of our body, we must be able to connect, communicate and re-program the morphogenetic field encryption pattern of our immune system. By utilizing scalar wave mechanics to communicate with the immune system, a revolutionary shift in health and wellness is attainable within the grasp of all humanity.